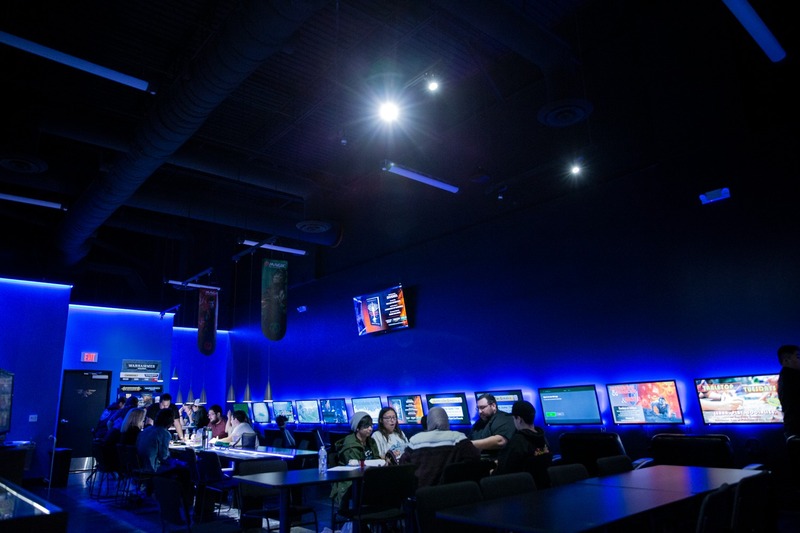 Play Live Nation, a premium social gaming lounge, opened March 2018 on the second floor of the Galleria at Tyler Mall in Riverside, and o ers the latest games for video game consoles such as the Nintendo Switch and Xbox One. 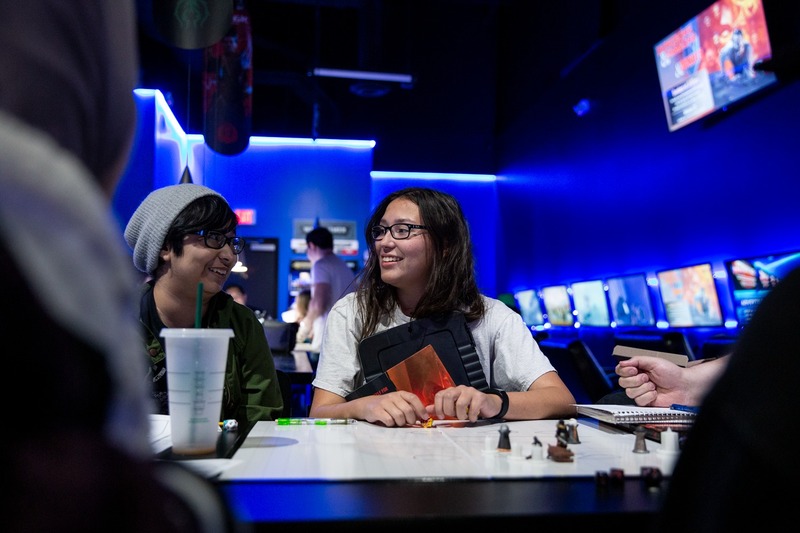 For Riversider residents, such as Christian Murillio, PLN keeps his gaming hobbies alive. “The most important thing with these kinds of games is other people. So, if I didn’t have other people to play with, I just wouldn’t play anymore,” Murillo said. It doesn’t take much to play at PLN. Lounge because it is free if all that is desired is to slam cards on a table, but mashing buttons on a console is a di erent story. PLN o ers monthly memberships for sin- gle-person accounts starting at $24.99, which includes 88 hours of gaming time, discounts on products. For $5 more, the single person account can be shared between two people. Sage Zbinden | Game master, Ruben Loyo, attempts to explain the treacherous scenario in the Dungeons and Dragons arena to the students of Hillcrest high school and La sierra high school. Game time can also be bought at the exchange rate of $10 an hour. However, PLN’s membership plans are a much cheaper path to gaming. When entering PLN, one in- stantly notices the array of flat- screen TVs with lounge chairs on both sides of the building. Arranged in the middle of PLN are gaming tables that can be used both for card games and PC games. 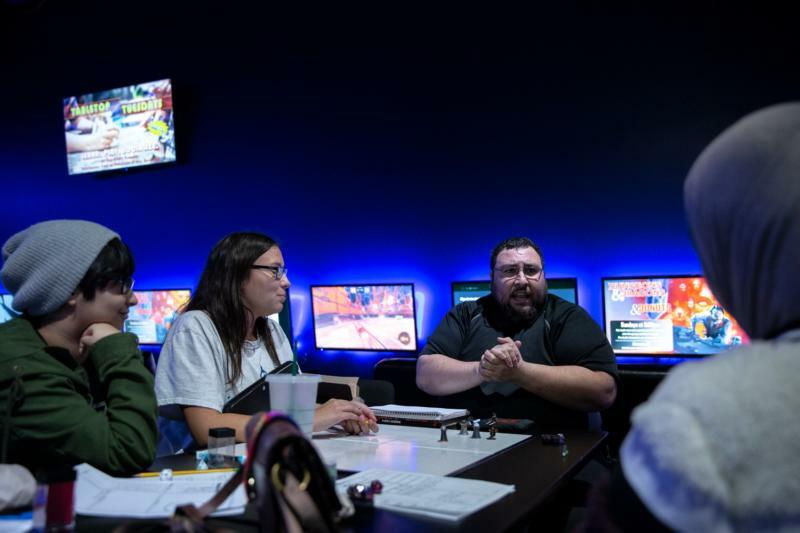 According to the Riverside location’s owner and operator Noah Pamintuan, “Dungeons and Dragons” is played seven days a week at PLN. “When we first started PLN, it wasn’t the biggest thing … but we created a community, by the community, for the community, and we made it perfect. Now have 200 players,” Pamintuan said. 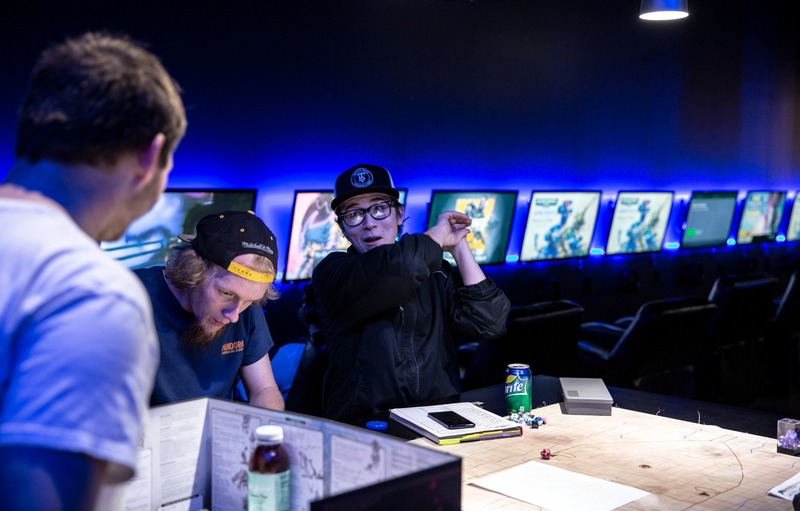 Sage Zbinden | Game master, Vincent Ortega, attempts to layout a path for the ongoing travelers of the realm of Dungeons and Dragons. Unique merchandise, such as Star Trek merchandise and game console controllers, are also for sale, as well. In addition to merchandise, PLN makes it easy to stay and hang out without having to go anywhere for snacks and drinks. In addition, one of PLN’s unique benefits is its location in the mall, allowing customers the luxury of other businesses within walking distance. According to PLN employee Arthur Rose people should not be discouraged if they have no experience playing card games or video games in a such a social setting. “Regardless of what community you jump into, the people are really welcoming and patient to teach new players,” Rose said. PLN is open Monday through Friday from 1 p.m. to 9 p.m., Saturdays from 10 a.m. to 9 p.m., and Sundays from 11 a.m. to 7 p.m.
To follow PLN’s activities, upcoming events, gaming tournaments and more information on membership pricing visit playlivenation.com. 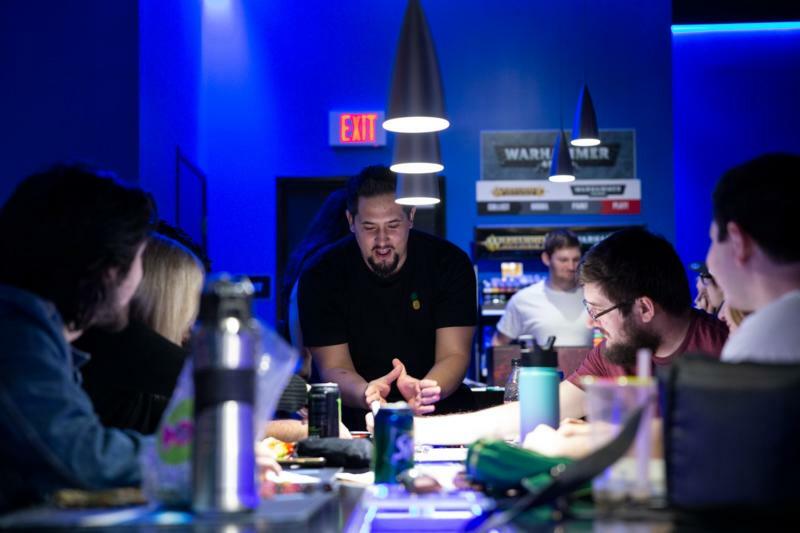 Sage Zbinden | Play Live Nation gaming lounge, displaying an array of different genres and titles that are being played by the community of Riverside. Sage Zbinden | Austin D’Amico describes his attack move on the enemy to his game master. Sage Zbinden | Vanessa Von Boeckmann, student of La Sierra High school and Oliver Perales, student of Hillcrest High school, try their best to convince themselves to fight the enemy at hand.